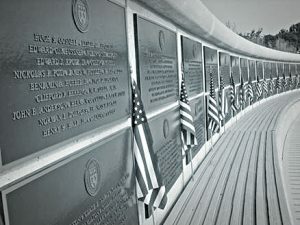 The National D-Day Memorial Necrology Wall is a solemn yet powerful reminder that the freedoms we enjoy today were secured at a cost. Soldiers, sailors, and airmen embarking upon the “Great Crusade” realized the singular importance of their mission on D-Day. They also realized its many dangers. There were 4,413 Allied and American troops who lost their lives on 6 June 1944. Their names, engraved on tablets encircling Elmon T. Gray Plaza, remind visitors of the individual sacrifices troops made on that fateful day in Normandy. 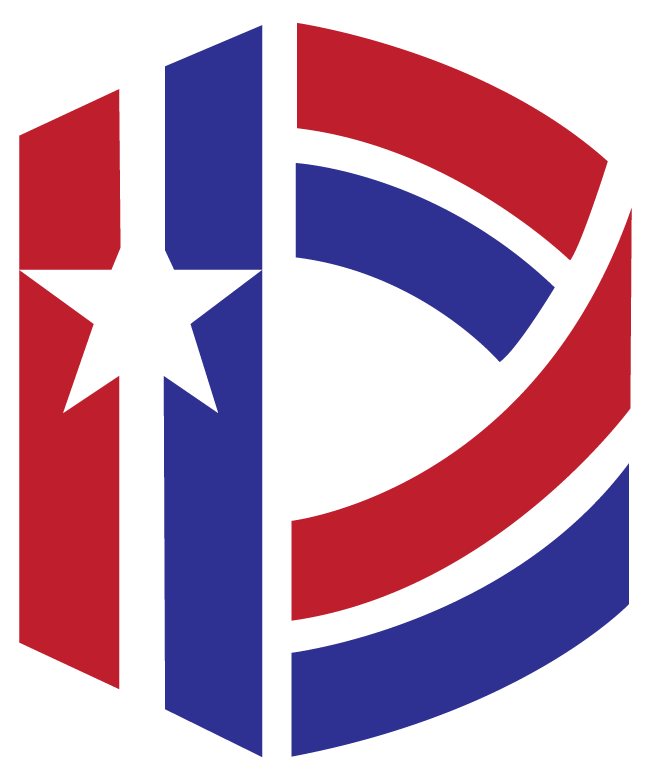 The National D-Day Memorial Foundation is dedicated to preserving their legacy. Over ten years ago the Foundation embarked on a research project unprecedented in the study of D-Day. Having had little success coming to terms with the broad disparity in figures expressing the Allied Expeditionary Force’s (AEF) D-Day losses, figures that ranged from 12,000 to 5,500 depending on the source consulted, the former Director of Research and Archives, Ms. Carol Tuckwiller, began the painstaking task of identifying by name, nation, and organization every member of the AEF killed on D-Day. During the course of her research, Tuckwiller sifted through unit reports, military records, databases, microfilm, and numerous other sources to verify and add, one by one, the names of those killed on 6 June 1944. Ms. Tuckwiller worked closely with governmental and military officials of the twelve AEF nations to identify the 4,413 people who died on D-Day. Of that number, 2,499 of those fatalities were from the United States, while the remaining 1,914 served with the forces of Australia, Belgium, Canada, France, New Zealand, Norway, and the United Kingdom. Though Czechoslovakia, Greece, Netherlands, and Poland also participated in the AEF, their forces had no fatalities on D-Day. 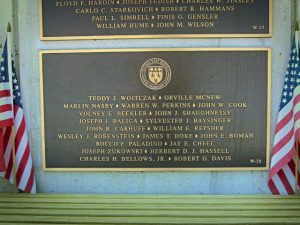 As Ms. Tuckwiller researched and verified the identities and assignments of the men killed on D-Day, the Foundation began recording their names on bronze plaques bearing the seal of the National D-Day Memorial. More than 154,000 troops took part in the D-Day landing. That fewer of them died than previously supposed should not be taken as revisionist commentary on the landing’s difficulty or the ferocity of the fight but rather as stunning evidence of the effectiveness of the pre-invasion training and quality of leadership at all levels. Many historians have argued persuasively that D-Day remains the watershed event of the last century; certainly it was the operation that reversed the course of World War II. The individuals who died in it warrant special recognition at the National D-Day Memorial. The Memorial is a tribute to the valor, fidelity, and sacrifice of the Allied Forces on D-Day. The D-Day Necrology is a specific element of that broader whole. D-Day veterans who survived the landing and millions of others who have come after them are all beneficiaries of the particular sacrifice of the men who died on 6 June 1944. The names of the United States’ losses appear on the west wall of Gray plaza, the Allies’ losses on the east. In the spirit of Dwight Eisenhower’s one-team command philosophy for the AEF, no other distinctions are made. A register of names is located at the information station to provide visitors an alphabetical list of D-Day losses by name, nationality, unit, and plaque number. Beyond the walls outside Gray plaza, two symmetrically placed bronze tablets list the donors of the individual plaques and, if requested, the name of any person, unit, or force in whose honor the donations were made. If the Memorial’s necrology plaques provide visitors an arresting sense of the Allies’ D-Day losses; the narrative plaques give them an engaging account of what happened on and around D-Day. 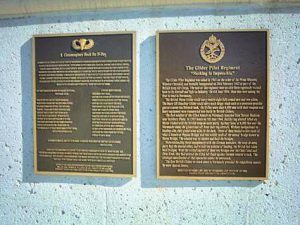 The term “narrative plaque” refers to plaques that address military units as well as certain naval vessels, services, organizations, individuals, etc. These plaques focus on various subjects as they relate to D-Day. Collectively they afford a breadth and depth of detail that the Memorial’s docents cannot include in an hour-long tour. Because many of them acknowledge the vast contributions of services, units, forces, etc. leading up to and flowing from the success of the D-Day invasion itself, the narrative plaques do much to buttress the Foundation’s educational efforts and add significant value to the experience of visiting the Memorial. They also make clear that the National D-Day Memorial exists in tribute to the valor, fidelity, and sacrifice of all the Allied Forces taking part in Operations Overlord and Neptune on 6 June 1944. The Memorial is not an exclusive shrine to those who died on D-Day but instead a memorial honoring every soldier, sailor, airman, coastguardsman, marine, and merchant seaman from each of the nations in the AEF who, during the D-Day invasion, began the breach of Hitler’s Festung Europa. Cast in bronze, the typical narrative plaque reproduces the pertinent shoulder patch, naval silhouette, regimental insignia, etc. in raised relief centered at the top. A brief history of the subject appears beneath the relief, and a dedicatory inscription follows, centered at the base of the plaque. Text for the narrative plaque is not prepared until a prospective donor makes a firm commitment (i.e. a donation or a donation with short-term pledge) to underwrite the desired plaque. Once the commitment is made, research and drafting proceed promptly. The narrative plaque’s text follows the Foundation’s style guidelines to ensure uniformity of appearance, tone, length, etc. Its dedicatory inscription is prepared in coordination with the donor. Production of the narrative plaque does not occur until the donor reviews and approves its layout. Depending upon the relative strength, stature, importance, contribution, etc. of the different subjects treated as well as the constraints imposed by the Memorial’s overall decorative program, narrative plaques are produced in two sizes: 18 X 24 inches and 30 X 36 inches. Plaques treating units that received invasion credit for D-Day are symmetrically mounted adjacent to the stairs that take visitors from the garden to the central plaza. The prominent sitting of these plaques makes sense in terms of the Memorial’s decorative and narrative programs. Plaques addressing post-D-Day subjects are emplaced along the inner and outer walls of the upper plaza. The larger plaques represent major chapters in the history of D-Day, and they are sited prominently. For example, the plaques addressing divisions that landed on D-Day are mounted along the southern wall of the garden on either side of the bronze plaque reproducing General Eisenhower’s D-Day Order. Their arrangement on the wall mirrors the units’ deployment in Normandy. Larger plaques treating elements of the Air Force and Navy are sited with equal prominence in the areas adjacent to the landing tableau. If you are interested in contributing to this important project, please contact the administrative offices at 540-586-3329 or 800-351-3329.